Forbidden rice is black when dry, purple when cooked. Forbidden rice is an heirloom rice that, in ANTIQUITY, was eaten only by emperors. Luckily, these days, anyone can partake in the nutty taste and chewy texture of this superfood, which is full of fiber, antioxidants, iron, amino acids and other nutrients. 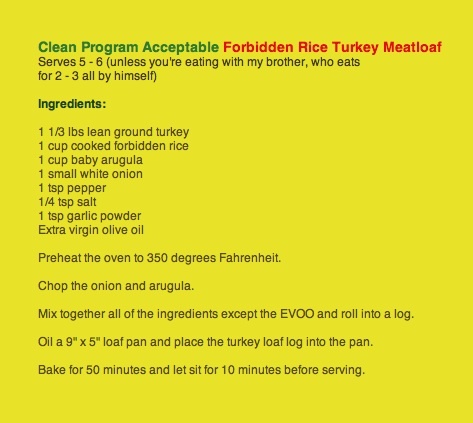 Even more luckily, forbidden rice is not forbidden on the Clean Program, a 21 day detox cleanse, which worked out really well for my brother and parents. Clean allows a protein shake for breakfast and dinner, and a healthy meal of protein and vegetables for lunch. My family EMBARKED on a Clean Program DERIVATIVE when we returned from our spring break trip, substituting the Metagenics brand of medical food for the Clean protein powder. 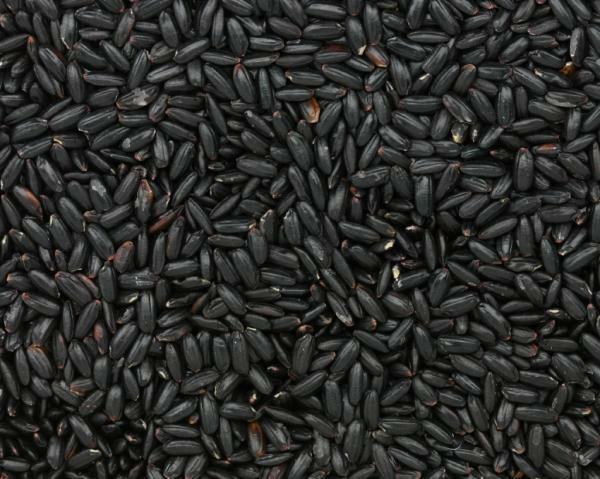 Black rice is the new brown rice. 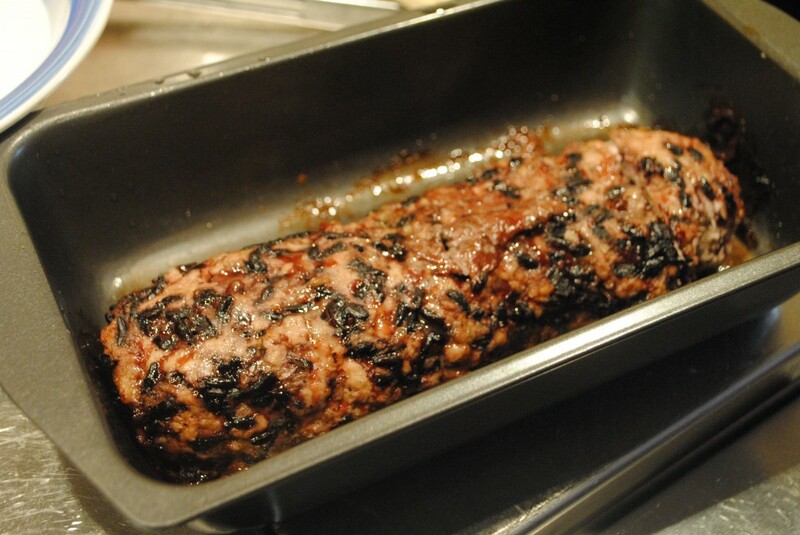 For one lunch, my brother decided to MODIFY the “Mediterranean Turkey Meatloaf” from Cook Your Way Through The S.A.T. because my recipe contains sun-dried tomatoes, feta cheese, eggs and a small amount of flour, all of which are PROHIBITED during detox. He prepared the black rice using a 1/3 to 2/3 ratio (1 cup of black rice cooked in 2 cups of chicken broth), simmering it for 60 minutes after it boiled. He only used a cup of cooked black rice for the meatloaf and saved the rest for another meal. My family’s cleanse is over and they’re still enjoying black rice. Can’t wait until I’m home and can try some.